Global warming is a complex problem that often sparks policy debates. When writing about it, stick to the facts and make sure that your thesis statement -- the central assertion of your essay -- is supported by research. Some global warming topics have produced extensive research worldwide and can serve as topical guides in formulating your thesis statement. The causes of global warming are complex, including natural and man-made emissions of carbon dioxide and methane. Use your thesis to highlight the difference between natural sources and man-made sources. For example, according to the Environmental Protection Agency, carbon dioxide concentrations in the atmosphere have risen from 280 parts per million in the 18th century to 390 parts per million in 2010. Human activities release more than 30 billion tons of carbon dioxide each year, or 135 times as much as volcanoes. Focus your thesis on this discrepancy, how man-made carbon dioxide sources, such as fossil fuel consumption, have eclipsed natural sources of the gas. Your thesis statement may focus on the relationship between rising surface temperatures and declining sea ice, specifically ice in the Arctic. For instance, since 1901, sea surface temperatures have risen at an average rate of 0.13 degrees Fahrenheit per decade, with the highest rates of change occurring in the past three decades alone, according to the EPA. Your thesis may establish the inverse relationship between these rising surface temperatures and the shrinking ice coverage in the Arctic. Arctic sea ice extent in December 2014, for instance, was the ninth lowest in the satellite record. The rate of decline for December ice alone is 3.4 percent per decade, according to the National Snow and Ice Data Center. 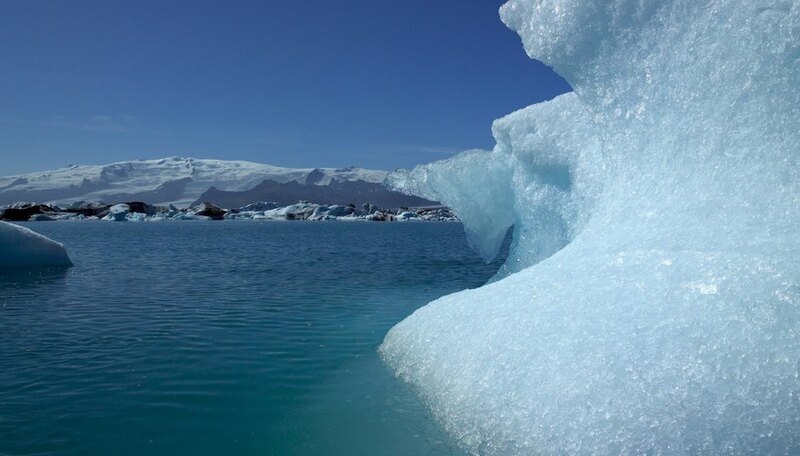 Along with sea ice, many of the world’s glaciers are melting due to climate change. Since the 1960s, the U.S. Geological Survey has tracked the mass of two glaciers in Alaska and one in Washington state, all three of which have shrunk considerably in the past 40 years. Research other mountain ranges and compare the glaciological data. Use your thesis to answer the question of what melting glaciers will mean for populations dependent on the ice flows for their fresh water supply. For example, much of Peru’s population depends on Andean glaciers not only for drinking water but for hydroelectricity. While global warming is projected to raise sea levels and flooding in coastal regions, it’s also been credited for changes in weather patterns and extreme drought, according to the EPA. In the arid American Southwest, for example, average annual temperatures have increased about 1.5 degrees Fahrenheit over the past century, leading to decreased snowpack, extreme drought, wildfires and fierce competition for remaining water supplies. As drought still rages in this region, your thesis can explore the relationship between global warming and agriculture, specifically in California’s Central Valley, which provides produce for much of the country. It’s possible that hotter, longer growing seasons are beneficial to California crops, but that shrinking water supplies threaten the viability of commercial agriculture. Neuffer, Scott. "Global Warming Thesis Statement Ideas." Sciencing, https://sciencing.com/global-warming-thesis-statement-ideas-8567349.html. 25 April 2017.